Thank you for your message, it is great to hear from you. 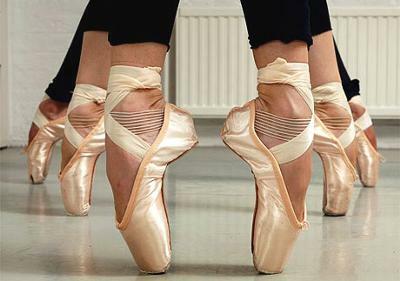 I completely understand and I can relate to all of your worrying thoughts about getting your results from your ballet exam. It is an anxious time for dancers. What will I get? Will I do better than my friends? All these questioning thoughts naturally come rushing to your mind. If you don't get honors, then try not to feel too disheartened. Let it be a time for you to reflect on what you need to work on and it can make you more determined in your ballet classes. Even if you have got honors in all your other exams, remember that this is a new exam and it is a different level so it may be harder to reach honors. It is so so natural to compare yourself to your friends and it will no doubt be what you all want to talk about when you get your results.... but it is just a small moment and soon you will all move onto the next thing to talk about. If your friends do better or worse than you, it is doing you no good comparing yourself to them. You are an individual dancer. Focus on yourself only and don't get distracted by others. Don't worry about your teacher too, as she has taught you probably for many years now so she is fully aware of your ability at ballet. She knows your strengths and weaknesses, so she can help you improve and she will not judge you on your results. Don't be afraid to talk to her too and she can give you encouragement and guidance. Once you get your results, move forward and focus on what you can do next to progress in your ballet classes. If it wasn't the results you hoped for, then don't let it affect you or your dancing. It is one exam, one moment and one time... trust me Lara, you will have many more chances so keep positive and trust your ability as a dancer!